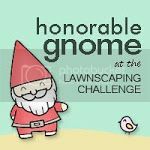 verdigris hall*: Lawnscaping Challenge No. 51: Be My Valentine! I am back with another Lawnscaping Challenge entry. 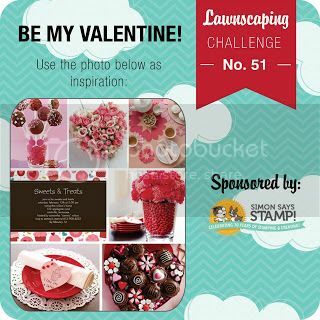 This time it's all about Valentine's...Lawnscaping Challenge No. 51: Be My Valentine! I started out by cutting hearts from white tissue paper that I then spritzed with pink spray. 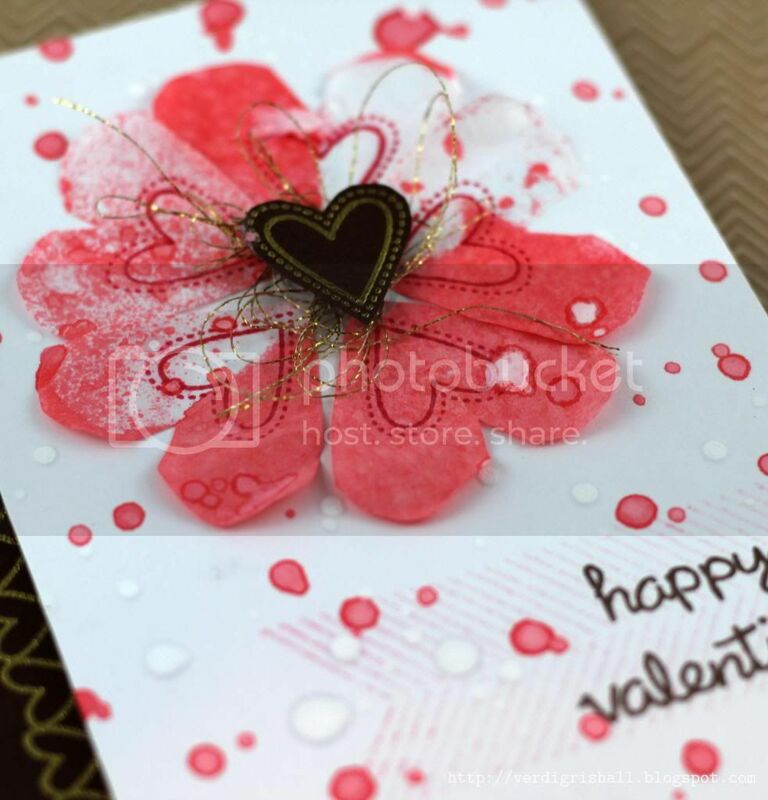 I arranged them on a piece of white cardstock and stamped the heart from Bee Mine on each heart. I added some gold thread to the center and finished the heart flower with a gold embossed heart. 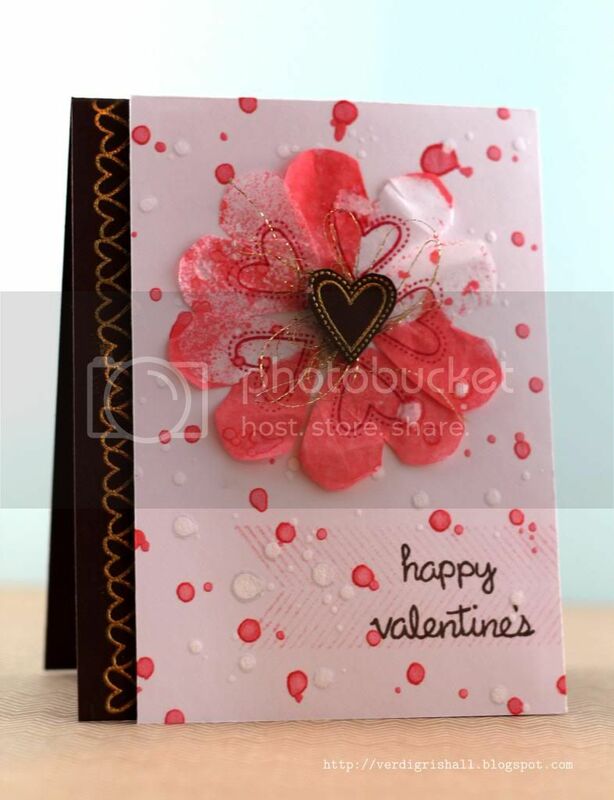 I stamped the herringbone/chevron stamp from Interlocking Backdrops in pale pink and stamped happy valentine's from Happy Everything in brown ink. I then shook drops of pink and white spray onto the entire panel. I adhered it all to the piece of chocolate brown cardstock gold embossed with the heart border from Belinda's Borders. That's it from me tonight. Thank you so much for stopping by and I hope your Valentine's day is filled with a whole lot of love and chocolate. Wow, this is simply STUNNING. I love all of the elements you've added in - this is a true work of art! Love all the special elements! this is beautiful! very artistic! 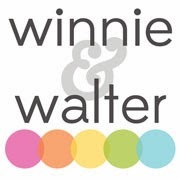 thanks for playing along with us at lawnscaping!